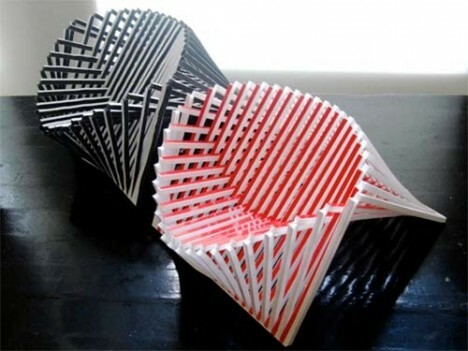 More than just a surface to sit on, these modern chair designs are (sometimes literally) works of art, sculptural yet functional, from a flat-looking canvas you can actually sit on to a series of chairs that slide inside each other, inception-style. 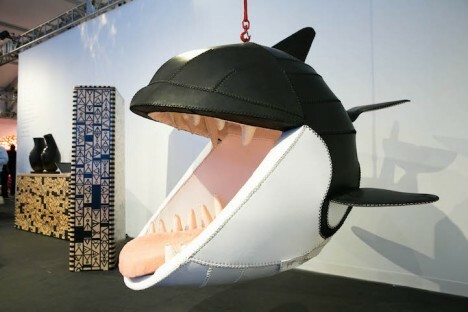 Customize a chair’s look with removable graphic panels, hook two high-backed seats together to make a room-within-a-room, or scare your guests with hanging chairs that mimic beasts of the deep sea. 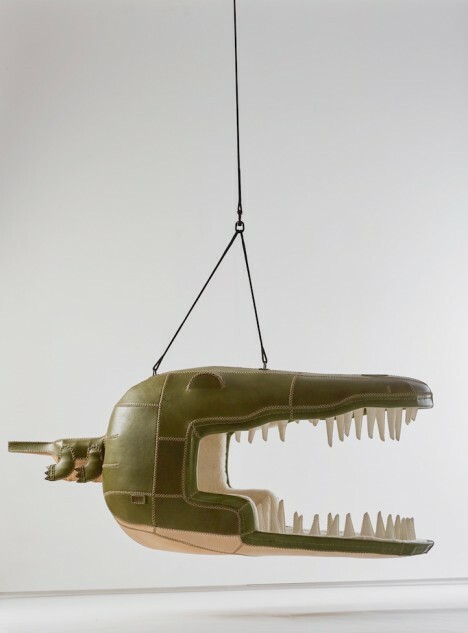 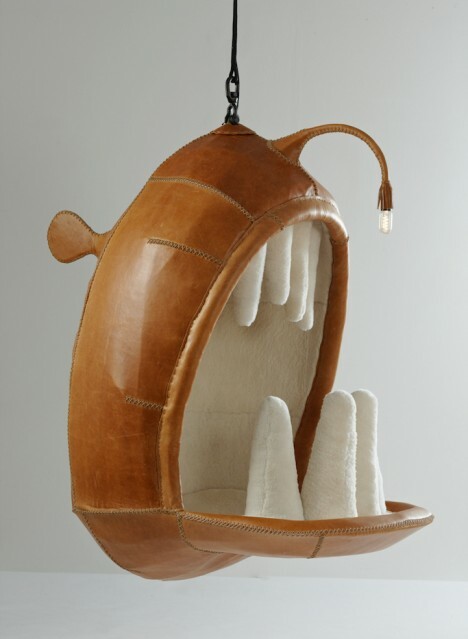 Rest inside the mouth of a sea beast, real or mythical, in this series of fun and frightening handmade chairs by Cape Town artist Porky Hefer. 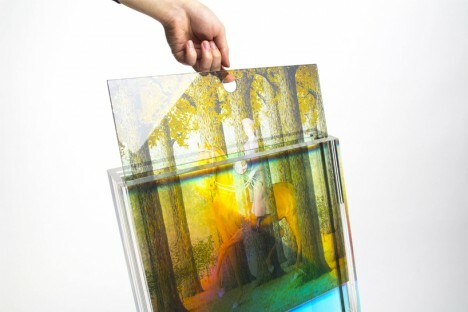 Hung flat on a wall, these canvases look like nothing more than two-dimensional paintings. 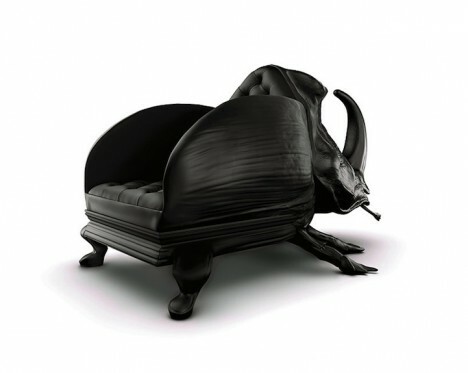 But pull them down, lean them against the wall and take a seat, and you’ll find that they are surprisingly up to the task. 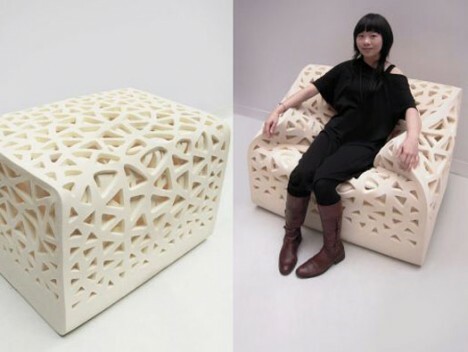 These lightweight furniture pieces by YOY design studio are made of wood, aluminum and stretched elastic canvas. 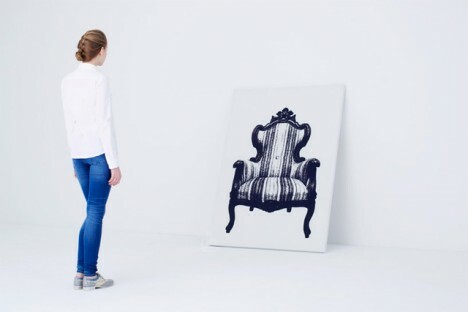 If you’re the type who works from home but isn’t into sitting at a conventional desk, the Four Works Armchair can meet all of your needs. 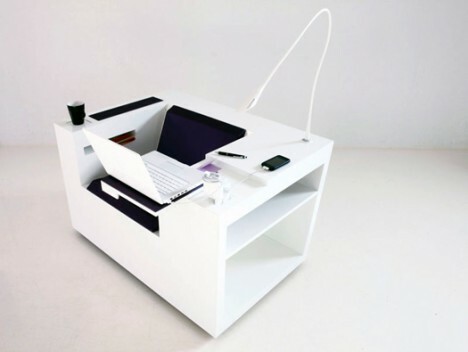 A seat is embedded within a bookcase-like base that also offers a light, cupholder, power outlets, storage and a laptop platform. 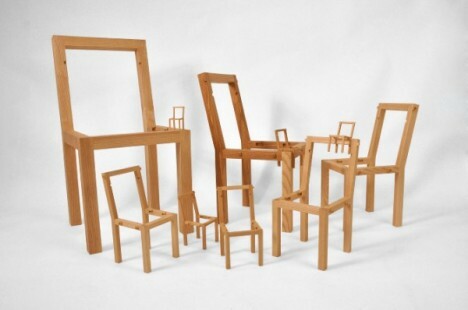 Ten interlocking chairs ranging from adult to child size fit within a single frame in this chair by Vivian Chiu, inspired by the dream-within-a-dream concept of the movie Inception. 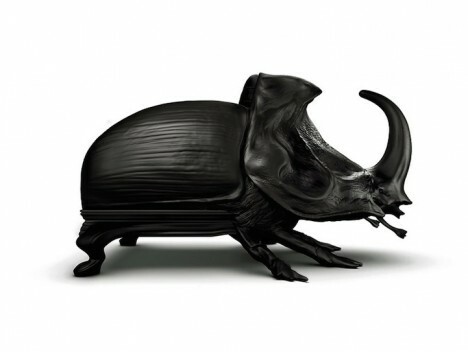 Adding to a collection of realistic animal-shaped chairs rendered in matte black, Maximo Riera presents The Beetle Chair, which is only recognizable as furniture when viewed from the back. 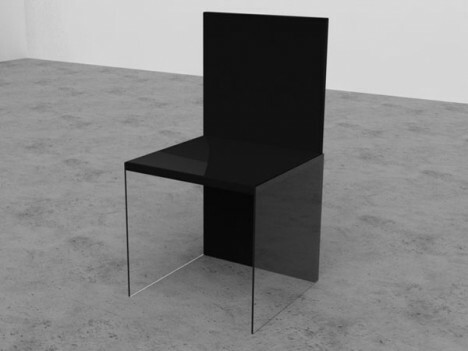 Change the look of this chair with your mood simply by sliding a series of acrylic panels within the transparent frame. 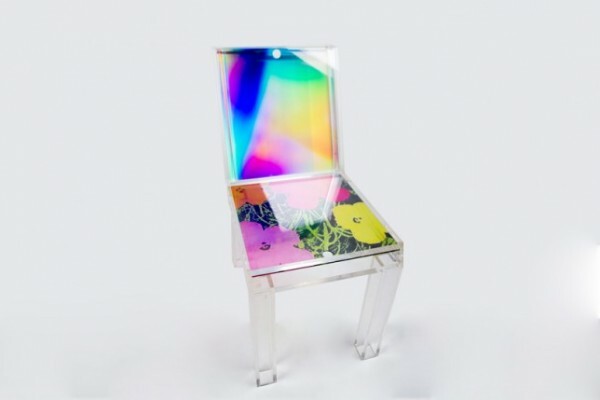 Layer Chair by Sohyun Yun comes with a set of interchangeable prints for the back and seat, allowing the user to create their own custom combinations. 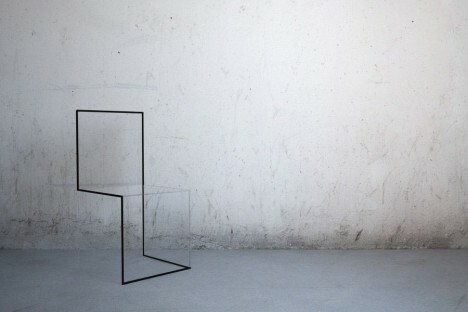 From a distance, this chair looks like no more than a line mysteriously hovering above the ground. 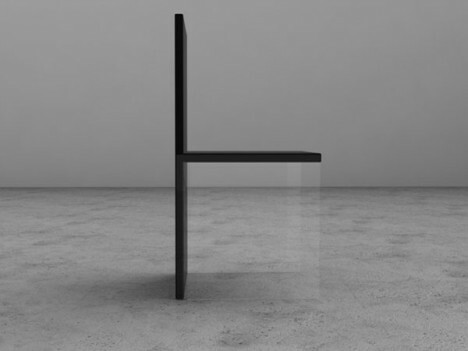 The Magic Chair by Davide Contiachieves the optical illusion of balance with the help of nearly-invisible transparent components contrasting with opaque black and white. 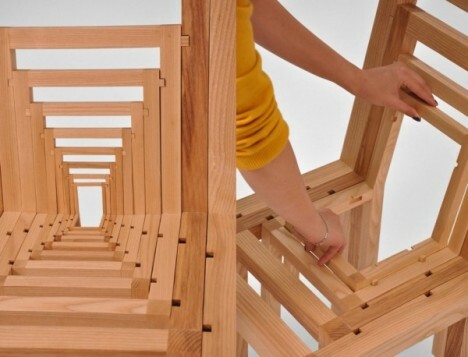 This set of chairs was designed to ‘hold hands’ so that two more more people can come together into a private group that’s completely walled off from prying eyes. 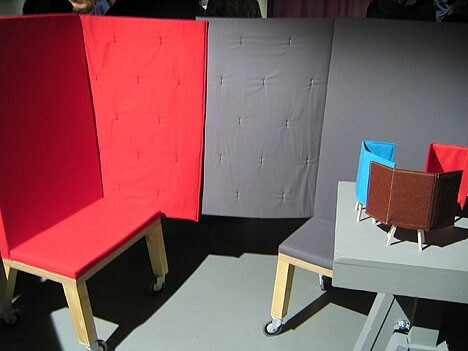 With its high back and flexible arm panels, it turns a group of chairs into a room within a room. 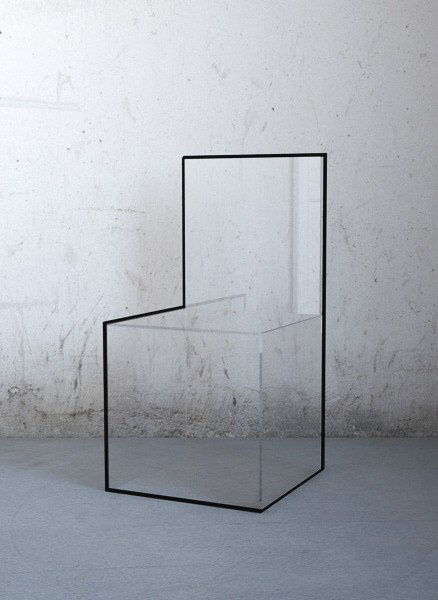 The Urban Philosophy Chair by Nissa Kinzhalina has a black line running only along a portion of the frame, the rest filled in with clear acrylic, so the bulk of it virtually disappears when viewed from most angles. 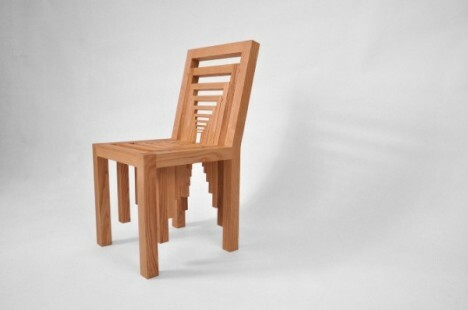 This chair by Hui Chun Chen only becomes a chair when you make it one, pulling the strings to ‘activate’ it. 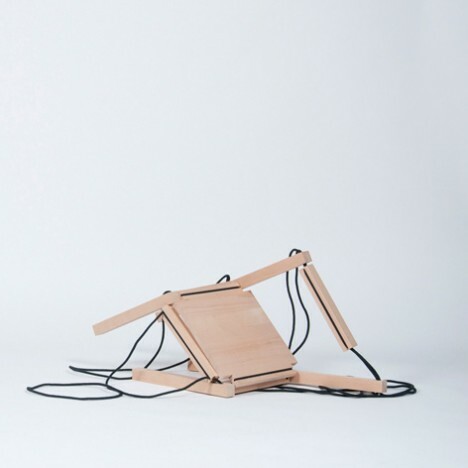 You have to tighten the cords enough for it to stand up on its own, and then pull them taut around your body to maintain the chair’s structural integrity. 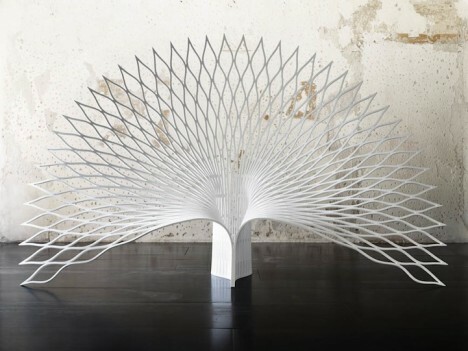 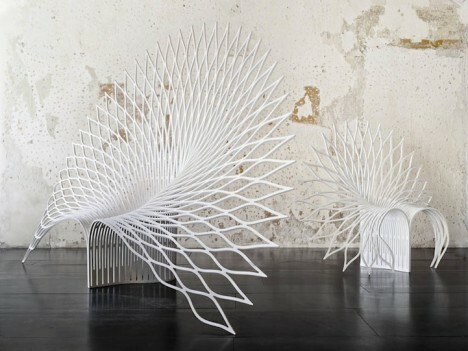 This modern spin on the classic ’70s peacock chair takes the biological inspiration just a bit further with a ‘feather’ span that reaches all the way to the floor on either side. 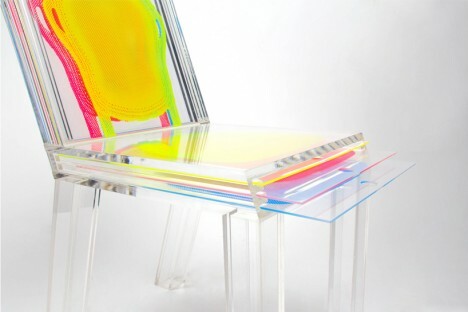 Canadian design firm UUfiecreated the chair out of a single sheet of acrylic. 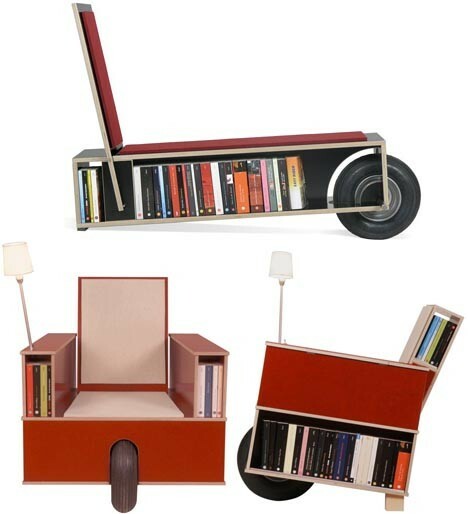 Take your own mini library with you from one room to the next with this rolling bookcase chair by Nils Holger Moormann, a lounger on wheels with built-in storage and even a reading lamp. 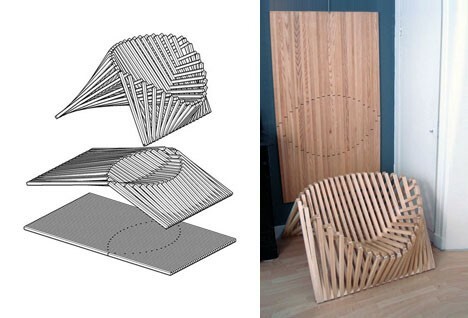 Rising Chair’ by Robert van Embricqs starts off as a flat, seemingly solid piece of wood, but transforms into a curving seat shape when pulled out at both ends.